Bring your table to life with this rich blend of red, olive green, mustard, cream and a dash of black. Available in rectangle & oval shapes you'll love the sturdy design and Eco-Friendly design. These are in-stock items and ready to ship. 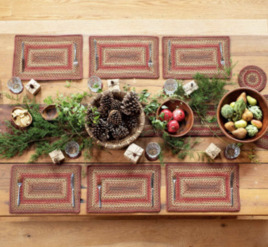 Harvest Jute Braided TableTop Accessories include beautiful hues of brown & cream, with accents of golden honey & wheat, along with red, dark green & black. Available in rectangle & oval shapes these are in-stock items and ready to ship. Add the simple Scottish-inspired beauty from the Highland Jute Collection. With pleasing barn reds & sage green, this is perfect for any rustic space from dining room to home office. Jute braids are budget-friendly, strong, & naturally water-resistant. 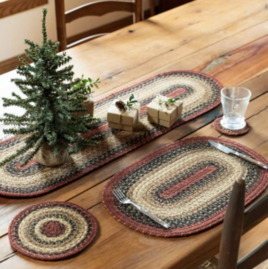 The Sawyer Mill Pig Jute Placemat is a great "farm to table" addition to your home. 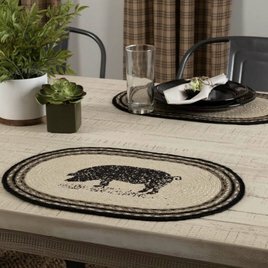 In the center of each placemat you'll find a farm pig stenciled in distressed black over ivory & surrounded by concentric braids of black, grey taupe, silver, & ivory. Here's the textured runner you've been looking for, the Sawyer Mill Farmhouse Jute Runner. "Farmhouse" is stenciled in distressed black among concentric braids of black, grey taupe, silver, & ivory with a solid ivory center. 13" x 16". 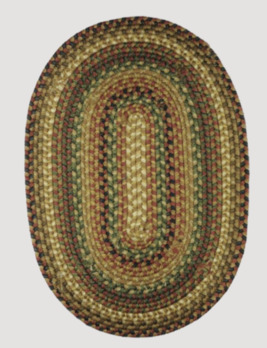 Canterbury Ultra Wool Braided TableTop brings vibrant colors to any room in your home... or on patio. Red, brown, mustard, dark blue, green & white. Affordable, washable & in-stock & ready to ship. 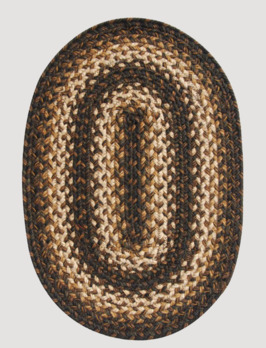 Kilimanjaro Jute Braided TableTop Accessories bring the colors of light & dark brown, along with tan, black & cream. As soothing as your favorite coffee or mocha! Available in Oval & Rectangles these items are in-stock & ready to ship. The stunning Kingston Jute Braided TableTop Accessories bring shades of black, brown & cream, along with hues of red, green & mustard. A beautiful blend for your home! Available in Oval & Rectangle, in-stock & ready to ship. 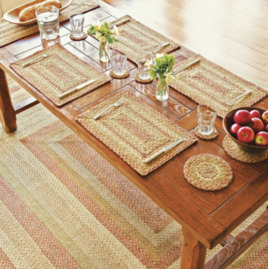 The classic Manchester Jute Braided Tabletop accessories offer simplicity and all-natural beauty at an affordable price. This style delivers an elegant, black and tan style that creates drama in any space. Perfect for any surface for an extra touch! The Russett Jute Braided TableTop Accessories have a golden cream background for this unique pairing of black & russet. Shades of black & golden are also included. Oval & Rectangle available. Each is in-stock & ready to ship. 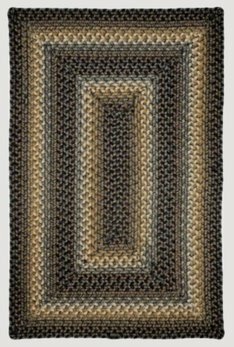 Warm up your room with the McKinley Ultra Wool Braided TableTop Accessories blend shades of black & brown, green, grey & white, with a hint of mustard. Oval or Rectangle available. In-stock & ready to ship. 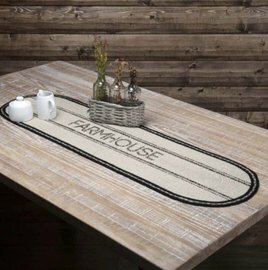 This Homespice San Antonio Ultra Wool Braided TableTop Accessories features black, brown, white & cream. This will look beautiful as the anchor of your favorite table. It gives you the look and soft feel of the finest wool at a very affordable price.